One of the very few perks of writing this blog is that every once in a while a publisher sees fit to send me a copy of a book for review. This most recent, The Bloody Shirt: Terror after Appomattox by Stephen Budiansky (Viking Press, $27.95) was a really good read, and I highly recommend it – with a caveat. If you are enamored of the “character” of individuals like Wade Hampton or Matthew Butler, or if you despise traditional Reconstruction “villains” or at best “failures” like Bull Run Medal of Honor recipient Adelbert Ames, be prepared to have your preconceptions challenged. Few and far between were prominent southerners, like James Longstreet, who had any interest in reconciling with the rest of the country under the terms suggested by the ruling party – namely, the establishment of black suffrage. Influential white southerners were most interested in returning to the status quo that existed prior to the war, despite the fact that the war was fought to maintain that status quo, and the South lost that test of arms. Part of this effort was the formation of the Ku Klux Clan, White Leagues, and various gun clubs. Ultimately, they were successful. Through intimidation, violence, and fraud Democrats began to win back the southern states. The north was described by the Federal government as “tired” of the violence, and Reconstruction was abandoned after 1876. With that, many claim, the Confederacy essentially won the Civil War. I was struck by the extensive passages from southern newspapers, which boldly and blatantly declared their positions. They did not mince words – they knew what the Ku Kluxers and White Leaguers were about, and they wholeheartedly, even glibly supported them and their tactics. The bloody shirt perfectly captured the inversion of truth that would characterize the distorted memories of Reconstruction the nation would hold for generations after. The way it made a victim of the bully and a bully of the victim, turned the very act of Southern white violence into wounded Southern innocence, turned the very blood of their African American victims into an affront against Southern white decency; the way it suggested that the real story was not the atrocities white Southerners committed but only the attempt by their political enemies to make political hay out of those atrocities. The merest hint that a partisan motive lay behind the telling of these tales was enough to satisfy most white Southerners that the events never happened, or were exaggerated, or even that they had been conspiratorially engineered by the victims themselves to gain sympathy or political advantage. If it was incomprehensible to many Northerners, it made perfect sense to those same white Southerners who, on more than one occasion, blamed the “cowardly negroes” for their unmanliness in having permitted themselves to be massacred by bands of armed white men: it only showed, they argued in complete earnest, that black men lacked the Anglo-Saxon virtues indispensable to free men who would exercise the lofty privilege of self-government. Any people who allowed their vote to be taken from them at gunpoint didn’t deserve to keep it. To quote Yossarian: That’s some catch, that Catch-22. How Do You Define History? Mrs. Lintott: And you, Rudge? How do you define history? Rudge: Can I speak freely without being hit? Mrs. Lintott: You have my protection. Rudge: How do I define history? Well, it’s just one f—ing thing after another. I’ve decided to do all of my OR posts on Wednesdays and Thursdays, for reasons on which I don’t care to elaborate. So you’ll see I made four such posts today. There are some things I want to point out about those reports, but that will have to wait. Things are very busy: I have some writing projects in the works, an upcoming RT engagement for which I’ve decided to rework my whole program, and work is really, really busy (I’m self employed and eat what I kill, so that’s a good thing). 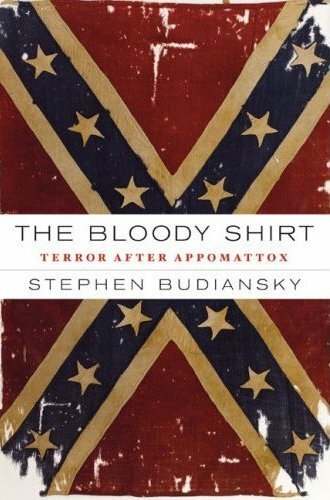 I’ll finish my review of Stephen Budiansky’s The Bloody Shirt: Terror after Appomattox. It’s a great book, by the way. I’ve written much of the review – just need to clean it up. Today I received my complimentary copies of the May issue of America’s Civil War magazine. 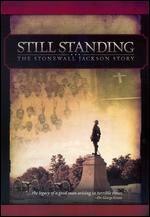 I have a couple Reviews in Brief in there, and also a full review of the DVD, Still Standing: The Stonewall Jackson Story. As discussed previously, the review was edited for length and I have permission to post the full version here. As soon as I see the issue at my local Barnes & Noble, I’ll do just that. Categories : Articles, What is this? At 7 o’clock precisely on the morning of the 21st the enemy commenced a cannonade from his original position in front of Mitchell’s Ford. My battery was ordered from the left of the trenches about 9 a.m., and placed in position in rear of the trenches at Mitchell’s Ford. This position we occupied without a chance to respond to the fire of the enemy, they being clearly beyond our range, until about I p.m., when I was ordered to join Colonels Kershaw and Cash, and under the command of Colonel Kershaw to move to the left of our lines near stone bridge. We arrived near the scene of action about 3 p.m., and immediately taking position in and near the road leading from Sudley Ford to Manassas Junction, and about one-half mile south of the turnpike, we had the honor of receiving and repulsing the last attack made by the enemy. They were found in strong force (of regulars), and required to be repulsed three times before they retired finally, which they began to do about 4.15 p.m. Seeing this general retreat commenced, and my men being very much worn-out, I withdrew my battery a short distance to the rear, and returning with a few of my men, got one of the Parrott rifled guns, previously captured from the enemy, in a position to bear upon their retreating columns, and had the satisfaction of annoying them considerably. Colonel Kershaw ordered his whole command to pursue them down the turnpike, and especially to endeavor to cut them off where the road from Sudley Church (by which their main body retreated) intersects the turnpike, about two and a half miles from Centreville. We failed to overtake any enemy in the turnpike until we arrived on the hill about one mile south of Cub Creek Bridge, in time to open (with two of my guns) on the enemy’s column which was by this time partly in the turnpike. We also threw, with good effect, some spherical case into their baggage train, &c., which had not emerged into the turnpike. I wish to remark that the first shot fired to rake the road was fired by the venerable Edmund Ruffin, and a prisoner subsequently stated that the effect was frightful. This maneuver resulted in the capture of many cannon, caissons, artillery horses, baggage wagons, an immense number of muskets, rifles, and accouterments, and many prisoners. In obedience to orders, Colonel Kershaw’s command returned to stone bridge, where we arrived about 11 p.m. and thus, as far as we were concerned, closed this glorious day. I desire, general, to call attention to the gallant bearing of Lieutenants Stewart, Bayliss, and Smoot, of my company. Each of them throughout the engagements of Thursday and Sunday performed his whole duty with a degree of coolness and judgment worthy of all praise. The men of my company, with two exceptions, behaved like veterans. The casualties of my command were: One killed, Private Richard Owens, killed by a musket bullet, and two wounded slightly; also one horse killed, two wounded, and one lost. Captain, Comdg. Battery of Light Artillery from Alexandria, Va.
GENERAL: I have the honor respectfully to report that early on the morning of the 21st Colonel Radford assigned me a squadron composed of the Black Horse Troop, Captain Payne, and the Chesterfield Troop, Captain Ball. For several hours this command remained under the fire of the enemy’s guns; we were then ordered to follow Colonel Radford’s command to the battle-ground. There I placed my command under cover and was joined by a squadron of our regiment, composed of the Wise Troop, Captain Langhorne, and the Franklin Rangers, Captain Hale. Three other independent companies afterwards joined my command. Colonel Radford has advanced. Munford will follow, and cross the nearest ford and pursue the retreating enemy. Pass the word to Stuart. I obeyed this order as rapidly as possible, came up with the enemy, who were in wild confusion, charged and captured some twenty prisoners and several horses. As we neared the woods a heavy volley of musketry was opened upon us, disabling four horses and slightly wounding two men. Mistaking Colonel Kershaw’s command and Kemper’s battery, who were in our rear, for the enemy, I withdrew my command and watched their movements until Kemper opened fire upon the enemy. Discovering the mistake, I again ordered up the squadron I had started with and joined Colonel Kershaw. As soon as Kemper’s battery ceased firing I advanced, and found Major Scott, commanding Captain Davis’ company, had proceeded to the bridge on Cub Creek. Assuming the command of the cavalry there I ordered them to dismount, and sent Captain Payne to Colonel Kershaw, asking him to assist me. As soon as the cannon on this side of the creek were hitched up and placed in the road, Major Scott, without consulting me, marched off his command, carrying the guns with him. I continued to work with the Black Horse and Chesterfield Troop until five more pieces of cannon were hitched up, including the heavy 32-pounder and all the caissons, forges, &c.
When I had exhausted my command both in numbers and physique, I left the creek and conducted the train to Manassas. I had but one trooper to four horses; all of the others were driving the cannon and wagons. I again joined Major Scott and took charge of the cannon he had carried to Colonel Kershaw’s command, and was compelled to leave fourteen horses and five or six caissons for want of drivers, Major Scott having lost or dismissed his command before I arrived. After being out the whole day of the battle and the entire night I arrived at Manassas, and had the honor of delivering to his excellency the President of the Confederate States ten rifled guns, their caissons, and forty-six horses. It is proper to say that Captain Evans (infantry), of Colonel Kershaw’s command, who came to my assistance, rendered material aid in getting out the guns. It affords me no little pleasure to have an opportunity to recommend to your especial commendation the corps under my command. In the charge they behaved most gallantly. The position of the Black Horse, being nearest to the firing, gave me an opportunity of seeing them fully tested, and it would be injustice for me to omit mentioning the conduct of Lieutenant Langhorne, of the Wise Troop, and Private Taliaferro, of the Black Horse. I saw the former charge upon a man who was behind a cedar fence, and in the act of firing his rifle at him, and kill him before he could fire. Taliaferro’s horse was killed under him by one of the enemy, and in falling broke his collarbones, but he sprang to his feet, pursued and killed his man with his pistol, both running at speed. I am not familiar with the roads or the farms, and claim nothing for myself; but I do claim that the men under my command pursued the enemy farther than any other command, and I do believe that when Colonel Radford charged and routed the enemy on my left, and when I met the retreating enemy half a mile lower down, it caused the panic and jam at the bridge which resulted in the capturing of the cannon, &c., and all of the wagons, which I left in charge of Captain Evans. Lieut. John Skinner, Company C, was taken prisoner while assisting Captain Jones to the hospital. Surgeon Allen remained in care of the wounded, and was also taken, together with his son. Chaplain J. F. Mines is probably a prisoner. There are still 115 privates missing, a number of whom I feel confident will yet come in, so that our loss in killed, wounded, and missing will be less than 150. Permit me before closing this report to express my entire satisfaction with the officers and men under my command during the engagement, for with few exceptions they obeyed every order promptly, and maintained their position under a most severe fire of artillery and small-arms until ordered to fall back. Great credit is due Lieut. Col. C. W. Roberts, Maj. George Varney, and Adjutant Reynolds for their coolness and courage on the field under the heavy fire that was thinning our ranks. Capt. E. N. Jones fell mortally wounded while exhibiting great courage in rallying his men to the charge. 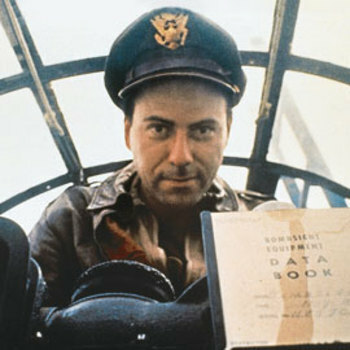 Sergeant William J. Dean fell severely wounded while nobly bearing the beautiful California stand of colors presented to the regiment the day before by the ladies of San Francisco formerly residents of Maine. The colors were lost, but regained. My thanks are due Capt. F. C. Foss, Sergeant Samuel Hinckley, of Company A, and Corporal Benjamin Smart, Company H, for important extra services rendered during the day; also to Sergeant G. W. Brown, Company F; A. J. Knowles and L. Carver, Company D; A. P. Jones and H. W. Wheeler, Company A; Peter Welch, Company I, for nobly volunteering to accompany me to remove the dead and wounded from the field under a very heavy fire of artillery and musketry. SIR: In compliance with the orders of Brigadier-General Tyler, I have the honor to report the operations of the First Brigade, First Division, in the action of the 21st instant, at Bull Run, and during the two succeeding days. Leaving my camp near Centreville at 2 o’clock a.m. I took my place in the First Division as a reserve. At 9.15 o’clock a.m. at the distance of half a mile from Bull Run, I was ordered by General Tyler to incline the head of my column to the right, and direct it through an open field to a ford about 800 yards above the stone bridge. Before the whole brigade had entered upon the new direction the enemy opened fire from a battery across the run, and threw upon the First and Second Regiments Connecticut Volunteers some twenty-five or thirty rounds of shot and shell, which caused a temporary confusion and wounded several men. Order was shortly restored, and the brigade closed up on Sherman’s column before passing the ford. After crossing, I marched at once to the high ground, and, by order of General Tyler, came into line on Sherman’s left. The order to advance in line of battle was given at about 10 o’clock a.m., and from that hour until 4 p.m. my brigade was in constant activity on the field of battle. The First Regiment Connecticut Volunteers was met by a body of cavalry and infantry, which it repelled, and at several other encounters of different parts of the line the enemy constantly retired before us. At about 2 o’clock p.m. General Tyler ordered me to take a battery on a height in front. The battery was strongly posted, and supported by infantry and riflemen, sheltered by a building, a fence, and a hedge. My order to charge was obeyed with the utmost promptness. Colonel Jameson, of the Second Maine, and Colonel Chatfield, Third Connecticut Volunteers, pressed forward their regiments up the bare slope about one hundred yards, when I ordered them to lie down at a point offering a slight protection and load. I then ordered them to advance again, which they did, in the face of a movable battery of eight pieces and a large body of infantry, towards the top of a hill. As we moved forward we came under the fire of other large bodies of the enemy, posted behind breastworks, and on reaching the summit of the hill the fire became so hot that an exposure to it of five minutes would have annihilated my whole line. As the enemy had withdrawn to a height beyond, and to the support of additional troops, I ordered the Maine regiment to face by the left flank and move to a wooded slope across an open field, to which point I followed them. The balance of the brigade soon rejoined me, and after a few moments’ rest I again put it in motion and moved forward to find another opportunity to charge. The enemy had a light battery, which he maneuvered with extraordinary skill, and his shot fell often among and near us. I advanced generally just under the brow of the hills, by a flank movement, until I found myself about half a mile below the stone bridge. Our advance caused the Confederates to retire from the abatis, and enabled Captain Alexander, of the Engineers, to clear it away. In a short time the enemy moved his battery to a point which enabled him to enfilade my whole line; but as he pointed his guns too far to the right, and only improved his aim gradually, I had time to withdraw my brigade by a flank movement around the base of a hill in time to avoid a raking fire. At this time a lull in the discharges of our artillery, and an apparent change of position of the enemy’s left flank, made me apprehensive that all was not right. I continued my march, and sent my aide, Lieutenant Walter, to the rear to inquire of General McDowell how the day was going. The discontinuance of the firing in our lines becoming more and more apparent, I inclined to the right, and after marching six hundred or seven hundred yards farther, I was met by Lieutenant Upton, aide to General Tyler, and ordered to file to the right, as our troops were retreating. I moved on at an ordinary pace, and fell into the retiring current about one hundred and fifty yards in the rear of General McDowell and staff. Before crossing Bull Run, and until my brigade mingled with the retreating mass, it maintained perfect freedom from panic, and at the moment I received the order to retreat, and for some time afterwards, it was in as good order as in the morning on the road. Half an hour earlier I supposed the victory to be ours. The gallantry with which the Second Regiment of Maine Volunteers and the Third Regiment of Connecticut Volunteers charged up the hill upon the enemy’s artillery and infantry was never, in my opinion, surpassed. I was with the advancing line, and closely observed the conduct of Colonels Jameson and Chatfield, which merits in this instance, and throughout the day, the highest commendation. I also observed throughout the day the gallantry and excellent conduct of Colonel Terry, Second Regiment Connecticut Volunteers, from whom I received most zealous assistance. At one time a portion of his regiment did great execution with their rifles from a point of our line which was thin, and where a few of our men were a little tardy in moving forward. Colonel Terry, in his report, calls attention to the coolness, activity, and discretion of Lieutenant-Colonel Young and Major Colburn. The latter, with the adjutant of the regiment, Lieut. Charles L. Russell, showed conspicuous gallantry in defending their regimental colors during the retreat, this side of Bull Run, against a charge of cavalry. Colonel Terry also commends the devotion of Drs. Douglas and Bacon to the wounded while under the hottest fire of artillery. Private Arnold Leech is also highly praised for having spiked three abandoned guns with a ramrod and then bringing away two abandoned muskets. Colonel Jameson, of the Second Maine Regiment, gives great credit in his report to Lieut. Col. C. W. Roberts, Maj. George Varney, and Adjutant Reynolds for their coolness and courage on the field. Sergeant G. W. Brown, of Company F; A. J. Knowles and Leonard Carver, of Company D; A. P. Jones and Henry W. Wheeler, Company A, and Peter Welch, Company I, he mentions for their noble conduct in accompanying him to remove the dead and wounded from the field under a very heavy fire of artillery and musketry. He mentions, also, Captain Foss, Sergeant Samuel Hinckley, of Company A, and Corporal Smart, Company H, for important extra services during the day. He also speaks in high praise of Sergeant W. J. Dean, who was mortally wounded while in the advance of the line, bearing the beautiful stand of colors which was presented the day before on the part of ladies from Maine residing in San Francisco, Cal. Capt. E. N. Jones, of the same regiment, fell mortally wounded while exhibiting great courage in rallying his men to the charge. Lieutenant-Colonel Speidel, of the First Regiment Connecticut Volunteers, was set upon by three of the enemy, who undertook to make him a prisoner. The lieutenant-colonel killed one and drove off the other two of his assailants and escaped. I observed the activity of Captains Hawley and Chapman, Adjutant Bacon, and Lieutenant Drake on the field. Colonel Chatfield, of the Third Regiment Connecticut Volunteers, gives special credit to Major Warner and Adjutant Duryee for their coolness and energy in assisting to keep the men in line and in urging them forward into action. The men of the Third Regiment brought off in the retreat two of our abandoned guns, one caisson, and several baggage wagons, and behaved with great coolness in the retreat, and the bulk of the regiment was present to repel the charge of cavalry this side of Bull Run. I received during the day and on the retreat the most gallant and efficient assistance from Lieutenant Hascall, Fifth U.S. Artillery, A. A. adjutant-general; Lieutenant Walter, First Connecticut Volunteers; Lieutenant Gordon, Second U.S. Cavalry, aides, obeyed my orders on the field with alacrity; and Lieutenant Ely, First Connecticut Volunteers, brigade commissary, assisted me zealously. Lieutenants Walter and Gordon are both missing. The former I sent to the rear at about 4 p.m. to ascertain from General McDowell how the day was going, since which time I have not seen him nor do I know his fate. Lieutenant Gordon was with me two miles this side of Bull Run on the retreat, where I saw him the last time. I trust he will yet be found. My two mounted orderlies, Cooper and Ballou, were both with me until near the end of the conflict, and are both missing. My brigade being far in advance, and the ground very hilly and interspersed with patches of woods, rendered it difficult to avoid being enveloped by the enemy. The last individuals probably missed their way and were killed or captured. I have delayed this report of the action until all the wanderers could be gathered in, and the following may therefore be taken as a very close approximation to the actual casualties in my brigade. Those reported missing are supposed to be killed or taken prisoners. In addition to the reported loss of the Second Maine Regiment, Lieutenant Skinner, Surgeon Allen and his son, while assisting the wounded, were taken prisoners. The aggregate loss of this gallant regiment was therefore 174 out of 640, which was the complete strength on going into action. It was impossible to obtain exact returns of my brigade on the morning of the 21st, but I am certain its aggregate strength was about 2,500 men. We captured fifteen of the enemy and brought six prisoners to Washington. In concluding the account of the battle, I am happy to be able to add that the conduct of the First Brigade, First Division, was generally excellent. The troops composing it need only instruction to make them as good as any in the world. I take the liberty to add, in continuation of this report, that the Third Connecticut Regiment and a part of the Second Maine Volunteers, of my brigade, left their camps near Centreville at about 10 o’clock a.m. by order of General Tyler, and arrived at Camp McDowell, six and a half miles from the Potomac, at dawn of day the morning after the battle. The camps of my four regiments and that of one company of cavalry were standing, and during the day I learned that the Ohio camp, a mile and a quarter this way, was vacant of troops, and the camp of the New York Second had only a guard of fifty or sixty men left in it. Not wishing the enemy to get possession of so many standing tents and such an abundance of camp equipage, I ordered my brigade to retreat no farther until all the public property should be removed. The rain fell in torrents all day the 22d. The men were excessively fatigued, and we had only eleven wagons. Brigade Quartermaster Hodge made two journeys to the city to obtain transportation, but with four or five exceptions the drivers refused to come out. Our eleven wagons were kept in motion, and at nightfall the troops were drenched to the skin and without shelter. So, leaving guards at the regimental camps of my brigade, I moved forward with the bulk of the Third Connecticut Regiment, and by 11 o’clock at night the majority were housed in the Ohio and New York camps. We kept good watch through the night, and early in the morning of the 23d instant Quartermaster-General Meigs sent out long trains of wagons, and Brigade Quartermaster Hodge walked six miles to Alexandria and brought up a train of cars, and the work of removal proceeded with vigor. As early as 5.30 o’clock p.m. the last thing of value had been removed and sent forward, to the amount of 175 four-horse wagon loads. The order to fall in was then given, and the brigade marched in perfect order, every man with his firelock, and at sunset bivouacked near Fort Corcoran. I acknowledge great indebtedness to Brigade Quartermaster Hodge. But for his untiring exertions in procuring the means of transportation nearly all the public property must have been abandoned. The men of the different regiments labored with extraordinary zeal, considering their great fatigue, and they merit the highest praise. I had given permission to about one hundred sick and lame to limp forward in advance, and about an equal number of cowards and recreants had fled without permission. The balance of my brigade, faithful and laborious, stood by, and they may claim the right to teach that it is unmanly to destroy the public property, and base to abandon it to the enemy, except in cases of the extremest necessity.